If you think there aren't any luxury Caribbean resorts on Tortola, then you would be mistaken. Tortola doesn't offer the chain hotels like the Ritz or the Four Seasons, but it does offer smaller upscale accommodations. There are just a handful of them, and sometimes they get overlooked by their mega-resort brethren. I've designated luxury accommodations as any room $250+ per night. I put together this list for those of you who refuse to sacrifice quality for price. If location is important I've also put together a hotel map. I'll start with my favorite. 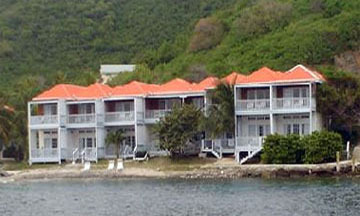 The Sugar Mill Hotel is the ultimate in boutique Tortola accommodations. The 23 rooms here are well decorated and the service is second to none. Across the road you'll be able to relax in beautiful Apple Bay. 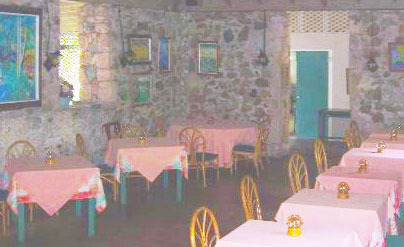 Don't miss the 300-plus year old sugar mill, which has been converted into a fabulous restaurant. If this place doesn't have the best food on the island then it's very close (It was voted one of the four best restaurants in the Caribbean). 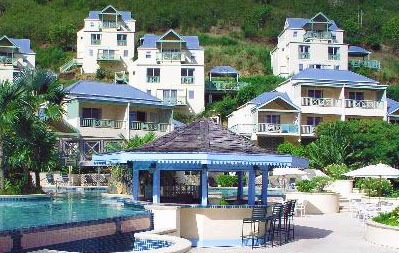 Long Bay Beach Resort is a sprawling beach side hotel with a handful of villas sprinkled in. They offer a magnificent stretch of beach, with tennis courts, a pitch-and-putt golf course, and a host of water sports. This is a great place to bring the family. The Surfsong Villa Resort provides a villa feel with the service of a hotel. There services include pilaties, massage, and even yoga. There are only four villas, which makes this a great secluded place to stay. It's perfect for those couples that are on a honeymoon, or those just looking for a romantic weekend. Fort Recovery Estate is the most casual hotel on this list. I'd call quaint but very friendly. You can have the staff rent you a boat or just enjoy limin' on their private beach. Pamelah Jacobson is the manager and she strives to make this place an amazing experience. Treasure Isle Hotel isn't exactly my favorite choice for a luxury Caribbean resort. Right now it's under renovation so I'm sure they will improve. However, at this time you can find a better place to stay for the money. If you're not satisfied with the selection here take a look at the mid-priced accommodations, or maybe the cheap hotels are more your style.